I slept really early last night. By 10pm, I was already in bed. I set my phone alarm to 0400h. I’m generally a morning person, so getting up early was not an issue. In fact, I wanted to beat the possible morning Causeway jam and also anticipated some delays as Malaysia was supposed to start implementing the VEP system today. It was with mixed feelings of excitement and trepidation that I begun the trip. Is this trip even possible? What if the bike breaks down? Can I really reach Chiang Mai? I woke up before the alarm went off. 3:40am. And since most of my stuff were already packed, I left home at approximately 4:00am. 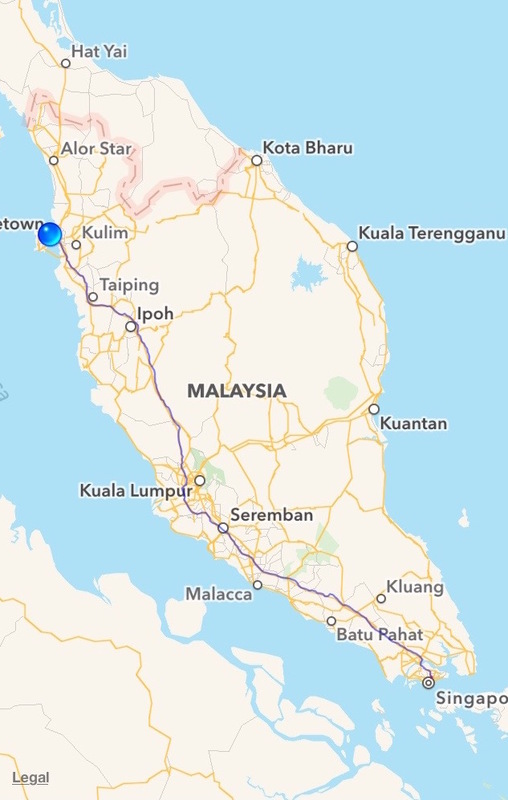 The plan is to reach Penang by noon, and that will give me some time to roam the island and also to get withdraw some cash from the ATM machine there. 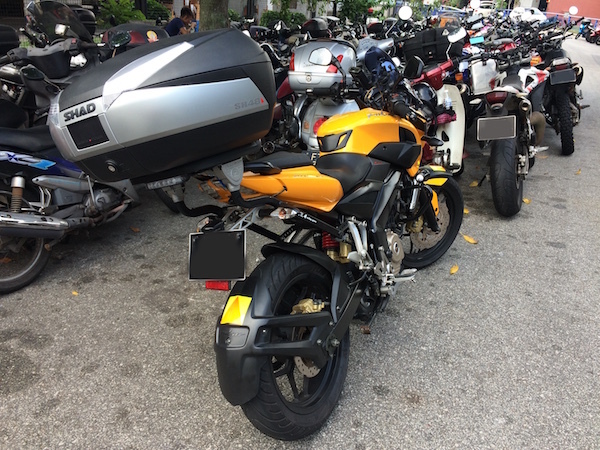 Author sgBikerBoyPosted on 19 June, 2016 19 June, 2016 Categories Pulsar 200NS, Road Trip, The 2016 Trip16 Comments on The sgBikerBoy 2016 Trip! Was shopping at Daiso earlier today. Yes – that famous $2 store where everything goes for $2. And I came across this inflatable seat cushion. 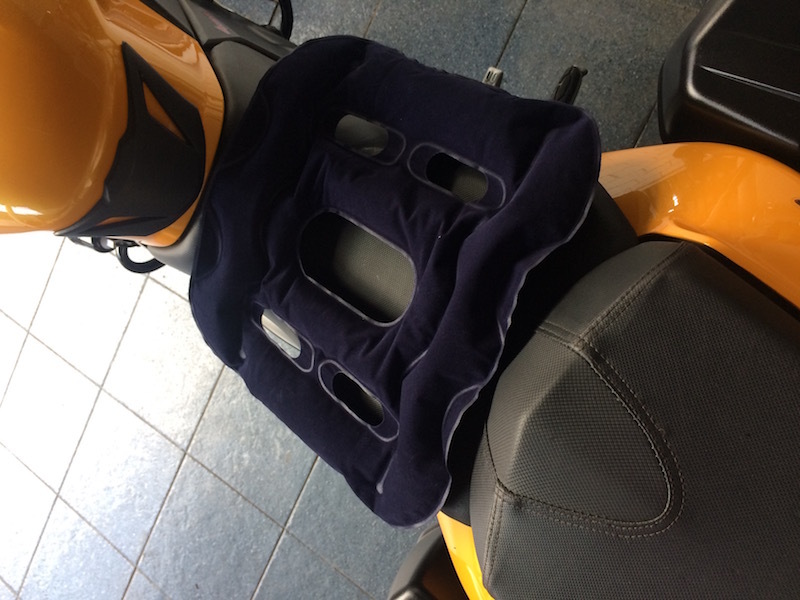 Thought that it might come in useful for longer motorcycle rides – similar in concept to the AirHawk, only much much cheaper. I’m yet to figure a way to secure it to the seat. But at $2, it won’t be too painful if I lose it. Just make sure I keep it slightly under-inflated. 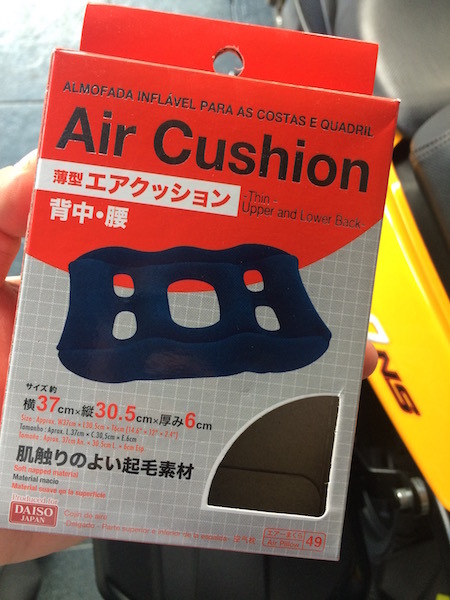 The $2 air cushion from Daiso. No Sunday ride today as I was feeling a little under the weather. Perhaps due to not sleeping well lately. So, I took the opportunity to do some bike maintenance instead. After the usual washing and drying, I noticed some black parts of the bike were beginning to look faded. 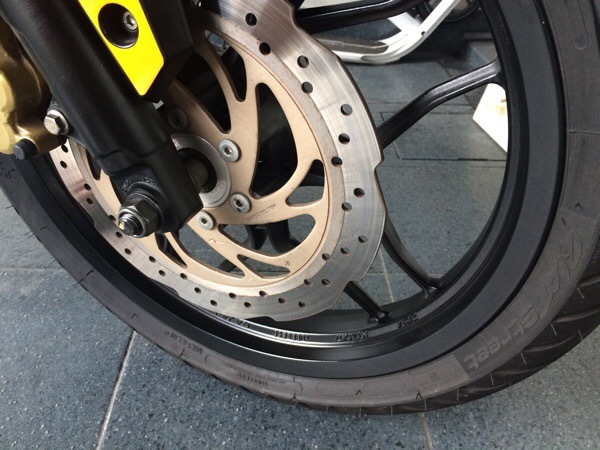 So I whipped out my bottle of Autoglym Bumper and Trim gel and started to apply it on the various matte black areas of the bike – especially the top box and panniers. 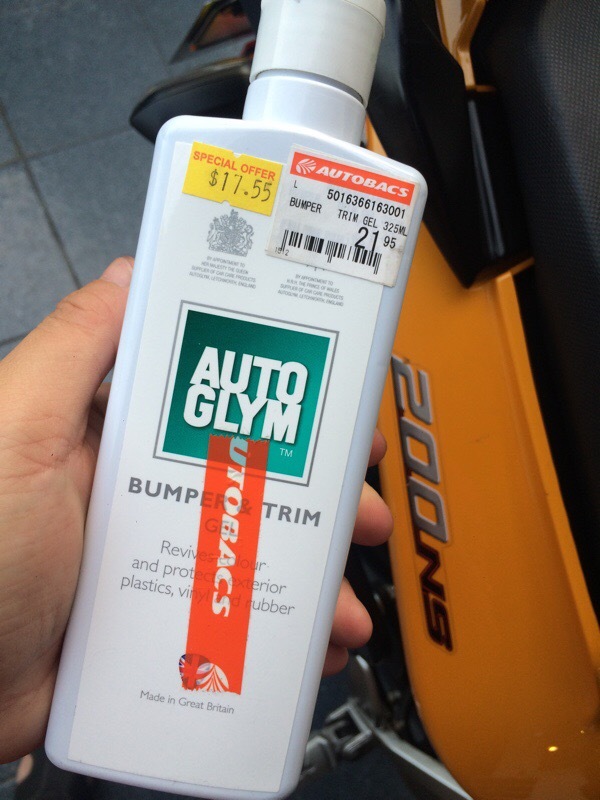 Autoglym Bumper and Trim gel. $17.55 from Autobacs on a sale. 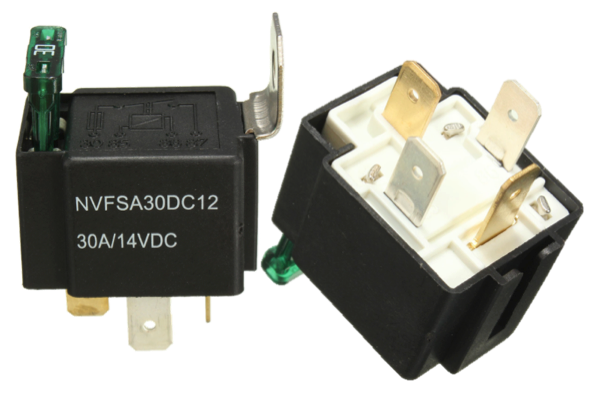 If you’ve read my previous post on my extra wiring, I’ve introduced an automotive fused relay to my 200NS. 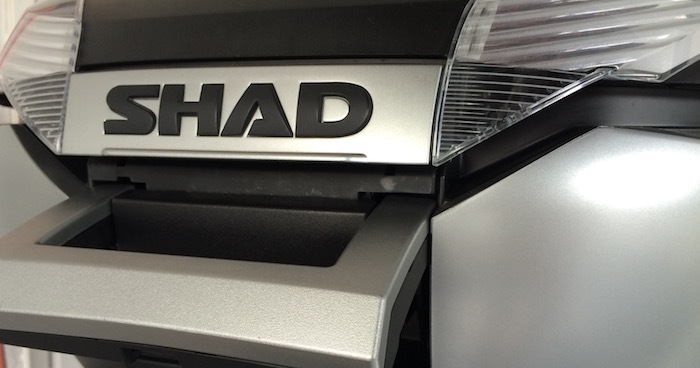 This relay controls power to my auxiliary devices such as LED fogs, USB power, and remote alarm signal. 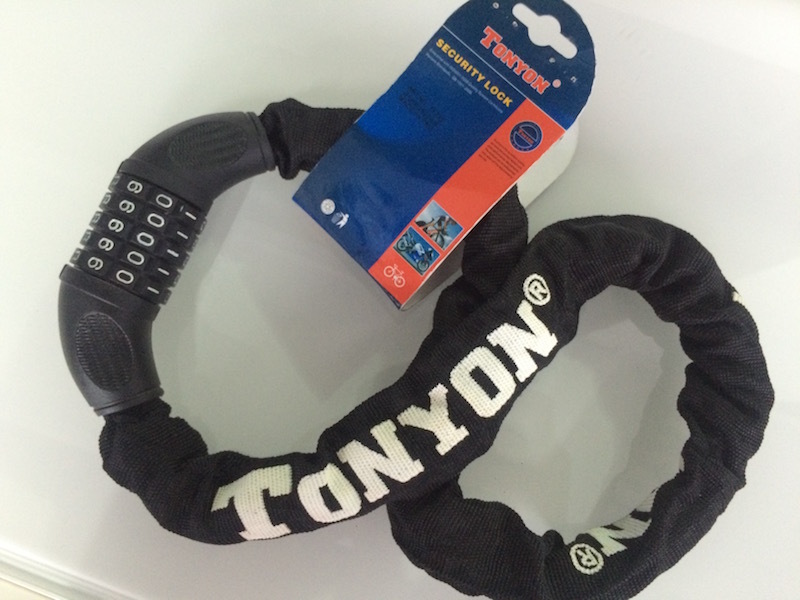 Happen to be shopping at Mr DIY at Tesco Bukit Indah earlier today, and came across this lock. I don’t normally have the habit of chaining up my bike to an immovable object – well, because I don’t have a chain lock. But I figured that any additional security won’t harm. And at RM21.90 (SGD7.30) it was not a difficult purchase. Although I’m not sure how it’ll hold up to a crook’s brute force hack, but at the very least, it shall serve as a deterrent. Update: It was only after I purchased the lock, that I found this online video. Yup, you can bet I’m gonna retire this lock before I even used it for the first time. Completed another Sunday morning ride! 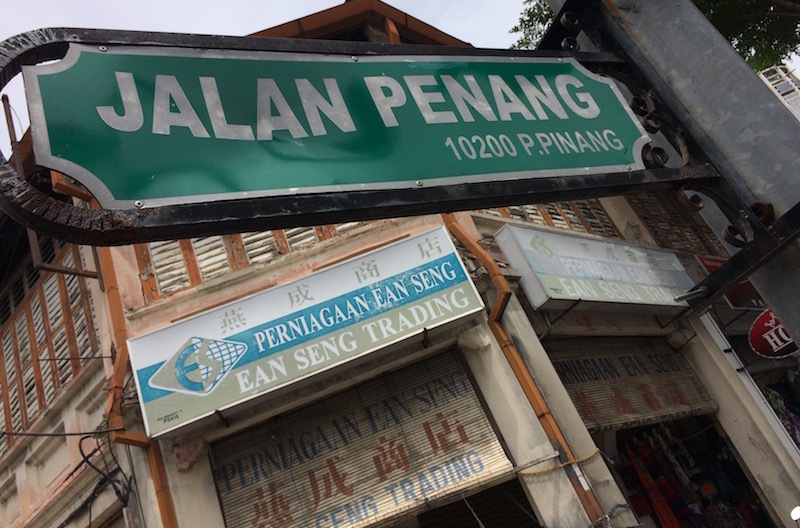 This time, we went to Pengerang – the south-eastern most tip of Peninsular Malaysia. If you’ve read my earlier post, we went to Tg Piai a couple of weeks ago. That’s the south-western most tip of Peninsular Malaysia – and also the southern-most tip too. Anyway, Pengerang is an approximately 2 hour ride, and is known for it’s cheap seafood. Or at least cheap by Singapore standards. But it was definitely too early for seafood, and we were there for the ride. Honestly, I didn’t quite know what to expect. 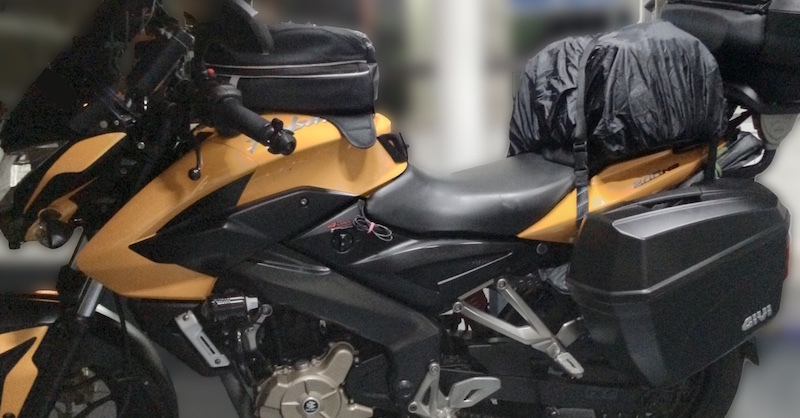 It wasn’t an “exciting destination” per se – especially just after last Sunday’s ride to Gunung Pulai waterfall. But we were just looking for an excuse to ride. 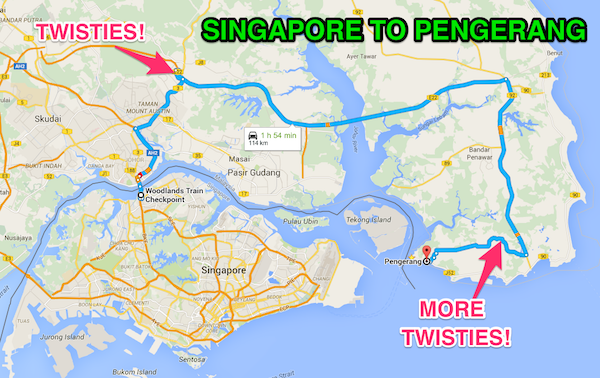 But boy, oh boy…..
Singapore to Pengerang – a route with TWISTIES!! It’s Sunday again! And it’s Sunday Morning Ride Day again! This time, we headed to Mount Pulai – or locally known as Gunung Pulai. 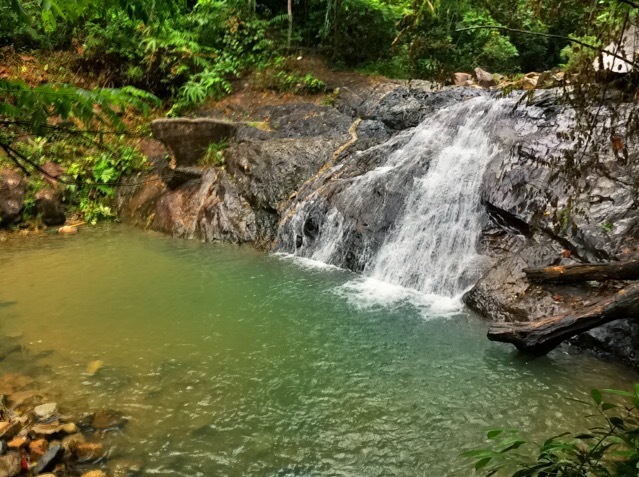 Only approximately 55km from Singapore, Gunung Pulai is the lesser known waterfall compared to Kota Tinggi. Many Singaporeans who have been to Kota Tinggi may not even have heard of Gunung Pulai. I’m feeling mad… I’m feeling violated. 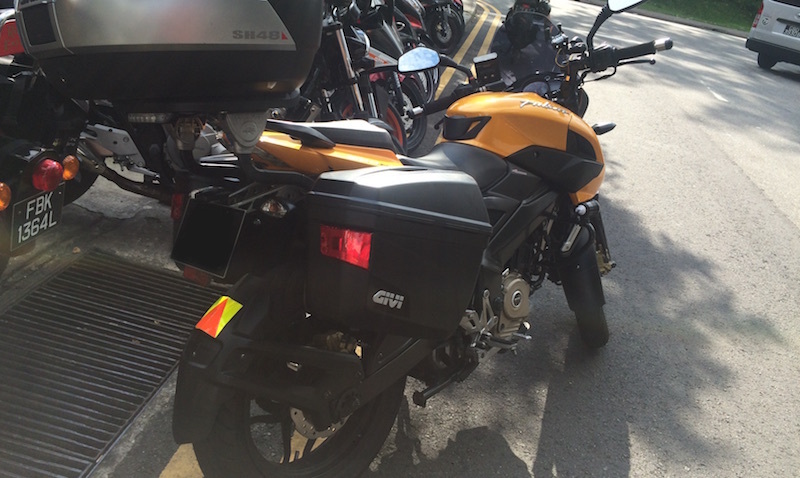 I had my top box molested this morning as I was making payment for petrol in Shell Johor Bahru (JB) this morning. Yes, it was my fault for keeping it unlocked (I thought that it was locked). The crook came up behind me on a kup and pretended to wait in queue for the petrol pump. He struck when I walked over to the counter to make payment – opening up my topbox to search for any content worth stealing.